HEADS UP! Win a SIGNED Viggo Book!!! Well ... Here is a first teaser. 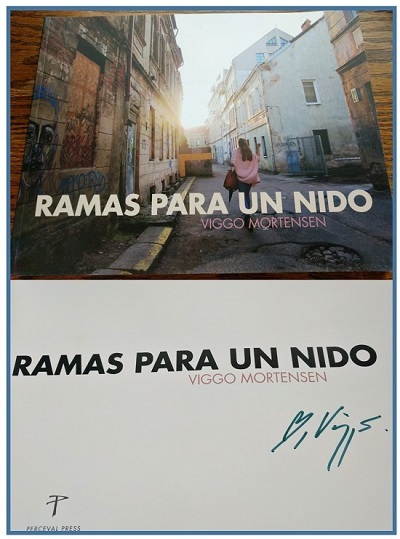 Viggo has (as always) been very generous to us and sent us some SIGNED copies (yes ... more than one :wink: ) of his newest book RAMAS PARA UN NIDO. To my knowledge, we are the first, and only place able to make this offer to his fans. As in the past, the signed book giveaway will be tied to those who are able to make a contribution to our server fund. Details will come towards the end of the month of May. © viggo-works.com. Images © Perceval Press.